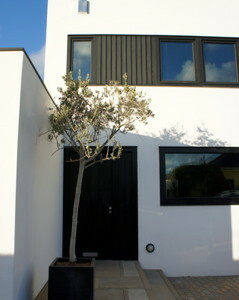 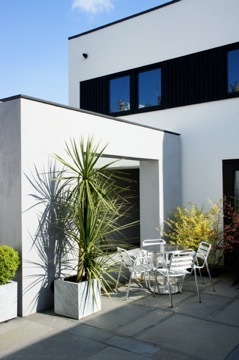 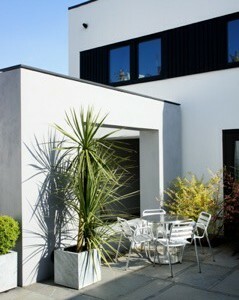 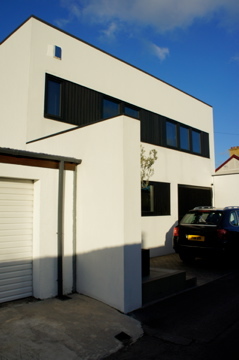 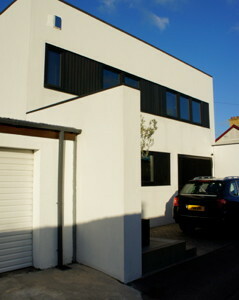 New build, white modernist Corbusier inspired cubist flat roof dwelling. 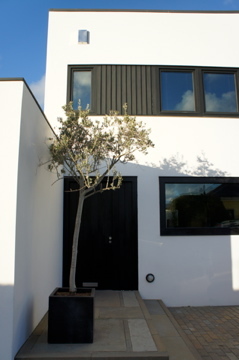 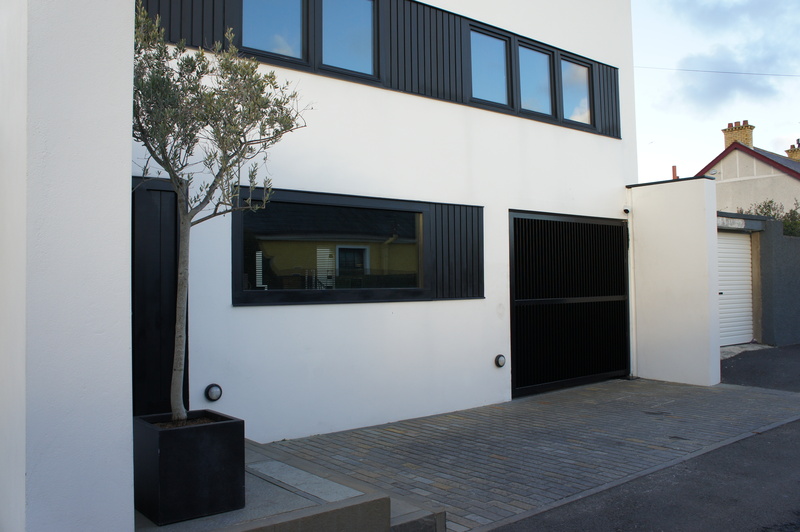 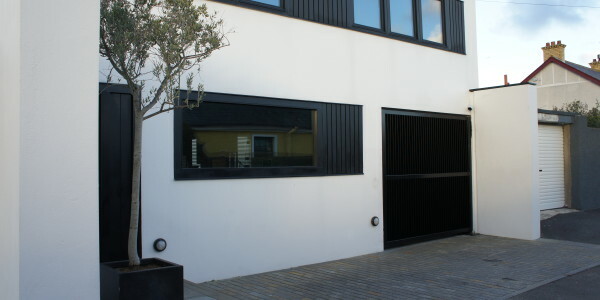 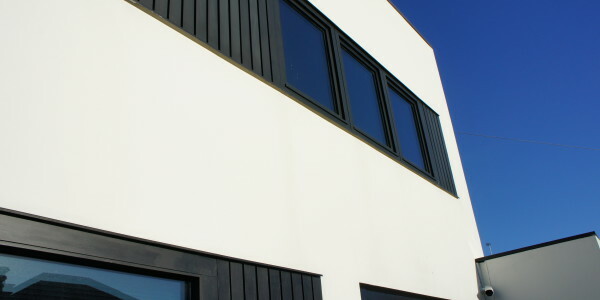 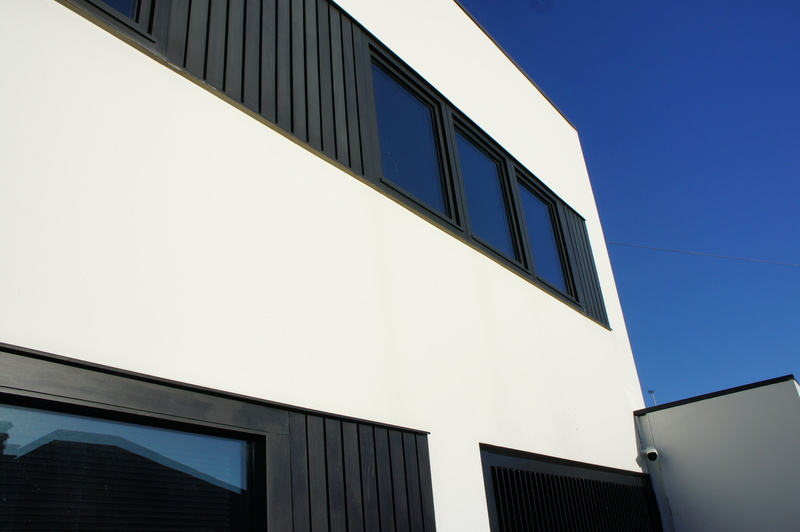 Windows and doors are flush with the external wall finishes and linked with vertical hardwood panels to give strong horizontal lines. 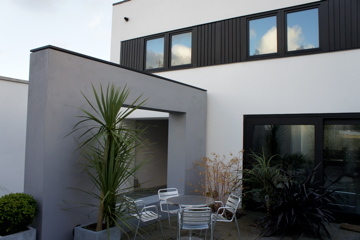 ‘Trocal’ flat roofing membrane with integral upstands and parapet cappings. 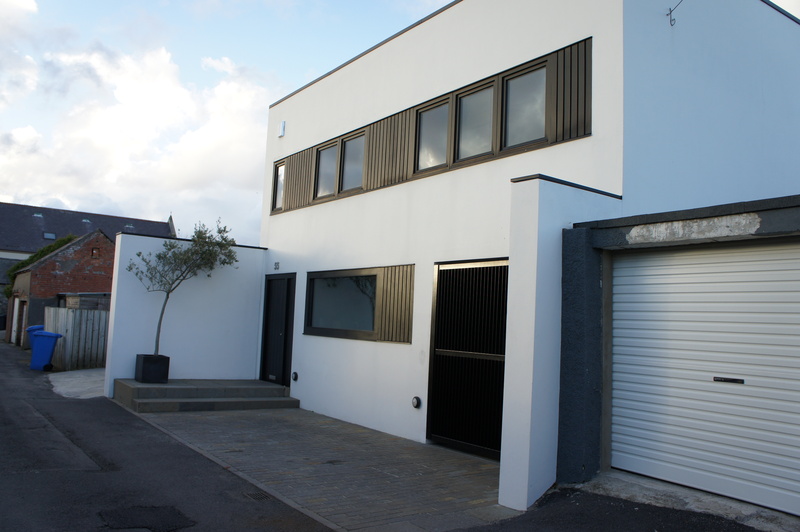 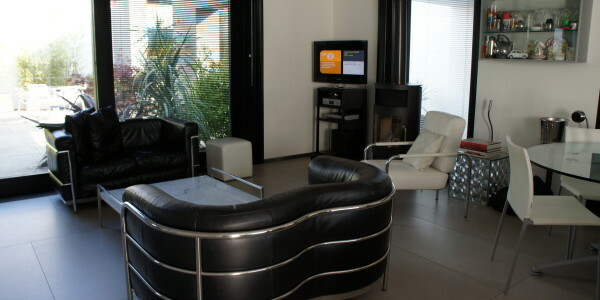 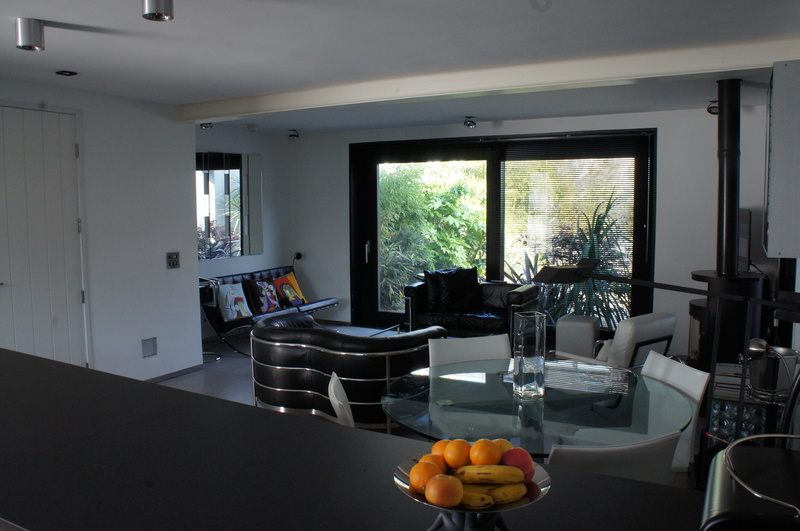 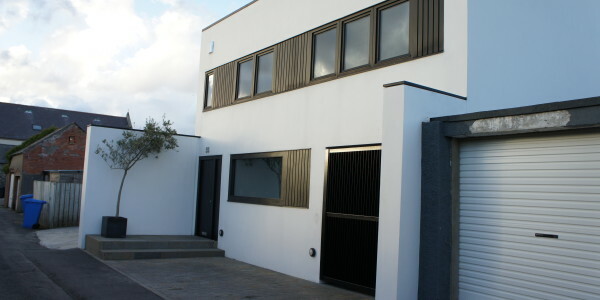 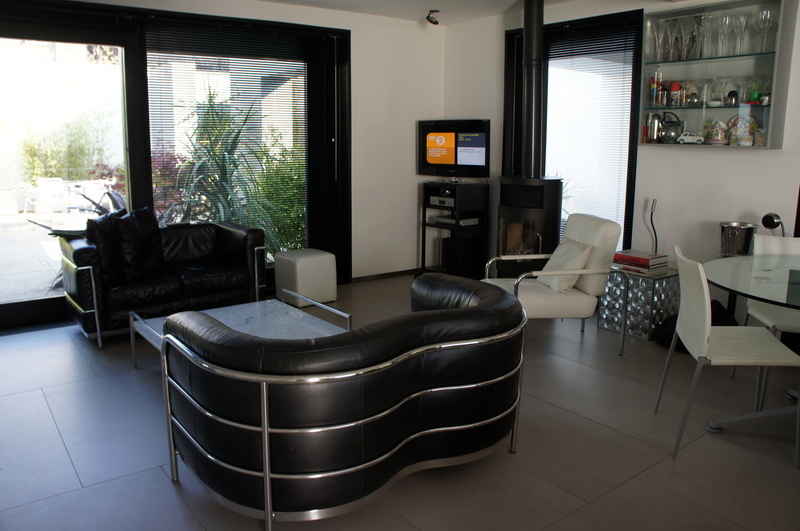 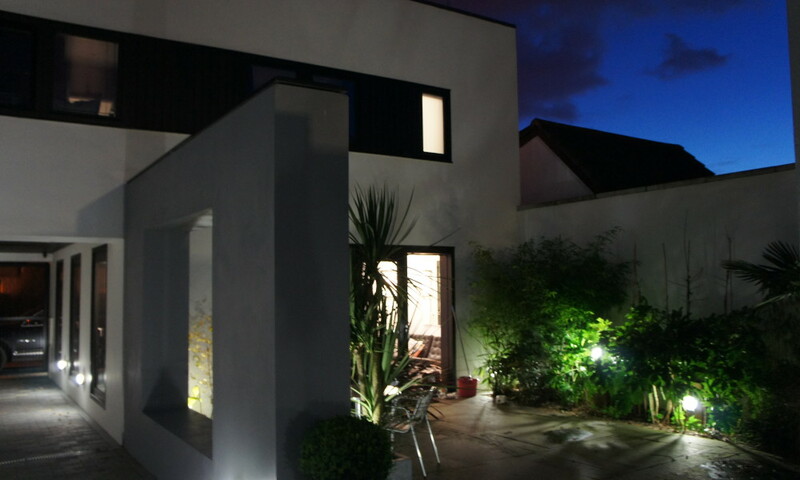 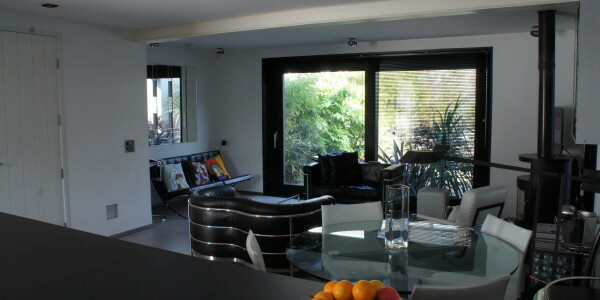 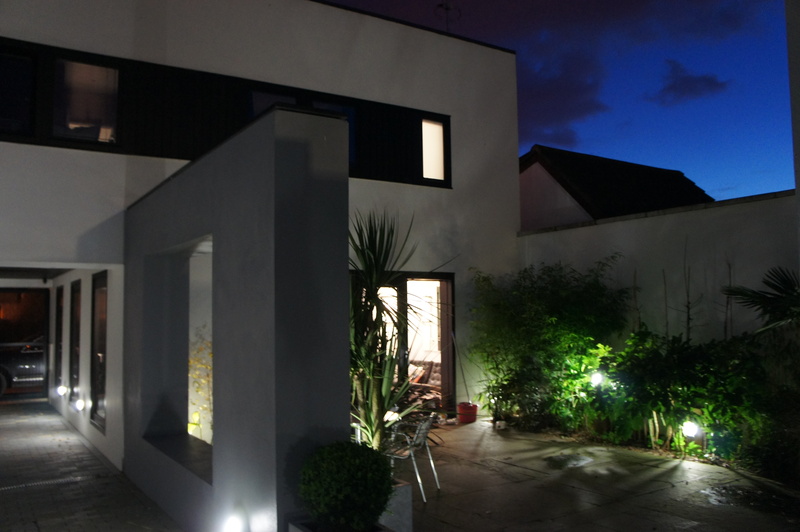 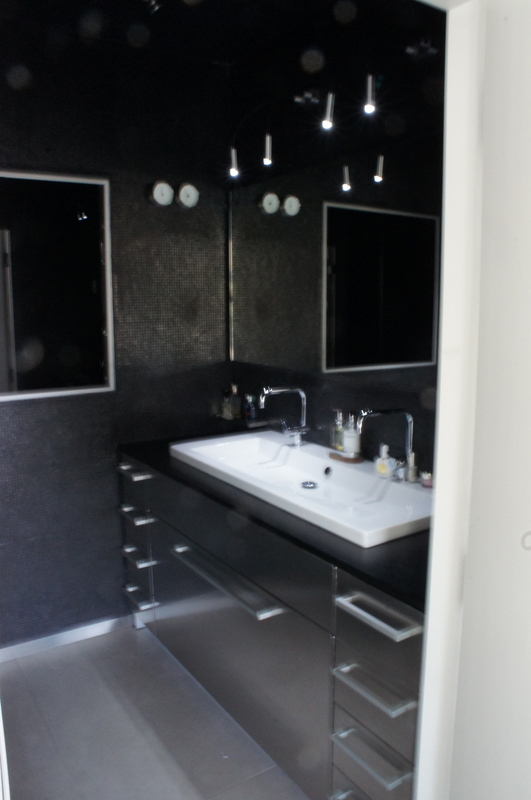 Modern open plan interior with tiled floors; Contemporary Kitchen and Bathrooms throughout. 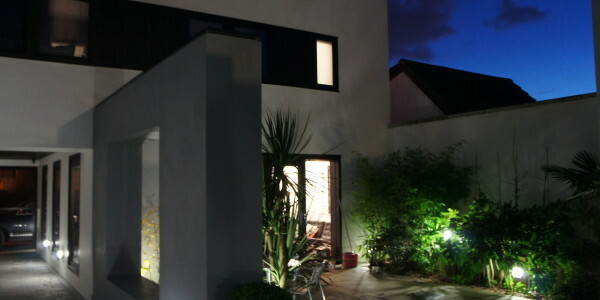 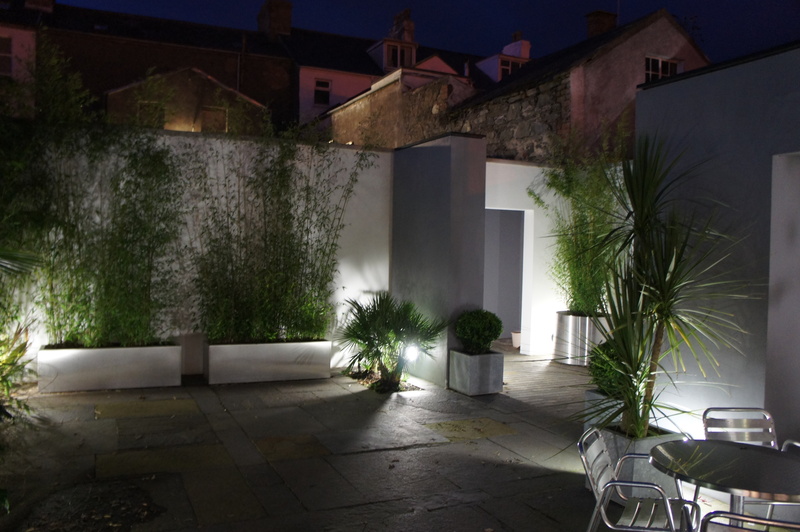 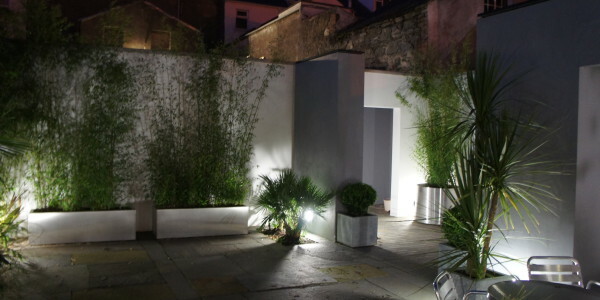 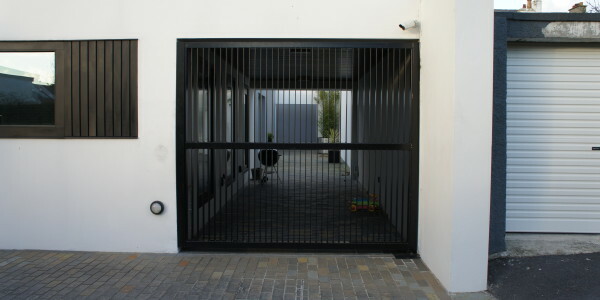 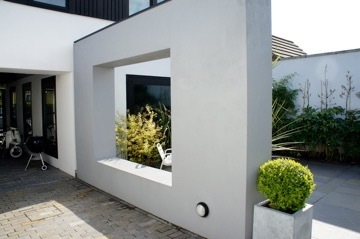 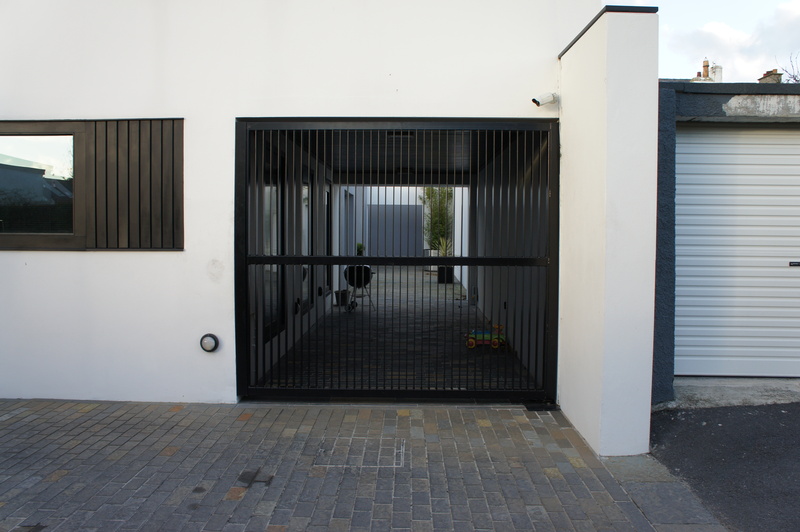 Large sliding doors opening to a paved enclosed courtyard with low level lighting and architectural planting.